Dr. Kit Pogliano received her Ph.D. from the Department of Microbiology and Molecular Genetics at Harvard Medical School and was a Damon Runyon-Walter Winchell postdoctoral fellow at Harvard University. She is a recipient of the Searle Scholar and Beckman Young Investigator Awards and is a Fellow of the American Academy of Microbiology. She joined the UC San Diego faculty in 1996 and is a Professor in the Section of Molecular Biology in the Division of Biological Sciences and Dean of the Graduate Division. Dr. Pogliano’s service contributions to UC San Diego include serving as Chair of Section of Molecular Biology (2016-2017), founding Chair of the Standing Committee on Service- and People-Oriented Administrative Culture (January 2015- 2017), Chair of the San Diego Division of the Academic Senate (2013-2014), Chair of the Senate Committee on Committees (2010-2012) and Chair of the Senate Committee on Affirmative Action and Diversity (2005-2006). As Dean of the Graduate Division, she oversees all graduate programs at UC San Diego, and is responsible for program development, policy implementation, strategic planning, program review and monitoring student progress. She collaborates with academic departments to recruit and admit an excellent and diverse graduate student body, to facilitate the development of new degree programs, and to ensure that students are prepared to work and lead in a multidisciplinary, multicultural and increasingly complex world. She has served on a variety of national and international scientific advisory groups organized by the National Institute of Health, the American Society for Microbiology, the Max Planck Society and the American Academy of Microbiology. Dr. Pogliano’s research entails developing new cell biological and genome engineering methods and using them to understand the design principles for bacterial cells and to discover new antibiotics to treat drug resistant bacterial infections. She was one of the first to apply fluorescence microscopy tools to the study of bacterial cells, and her research has provided insight into the molecular mechanisms by which bacteria localize proteins, generate asymmetry and are dynamically rearranged during growth and spore formation. She and her husband Joe Pogliano together demonstrated that quantitative live cell imaging provides a rapid and accurate method to identify and determine the mechanism of action of new antibacterial molecules and to perform antibiotic susceptibility testing. 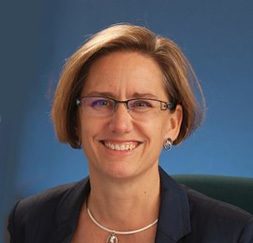 In 2012, she and Joe cofounded Linnaeus Bioscience Incorporated (La Jolla, CA), which seeks to identify and characterize new antibacterial molecules via corporate partnerships, and to make this rapid but technically challenging method available to the pharmaceutical industry, in order to accelerate antibacterial drug discovery.